Awhile ago, just before starting up with this blogging business, I decided to begin investigating the two basic precepts of Smart Growth, being transportation and land use. And as we should all know by now, first I focused on the former, coming to the ultimate conclusion that running rail lines “right down the middle” first is indeed the best if not only way to reach ultimate success. Also, after dabbling throughout the Texas Transportation Institute’s national databases, I determined that the time to strike for such an endeavor was 1989, which is when cities like Portland and Denver instigated their multi-modal transportation plans – Yes, right down the middle. 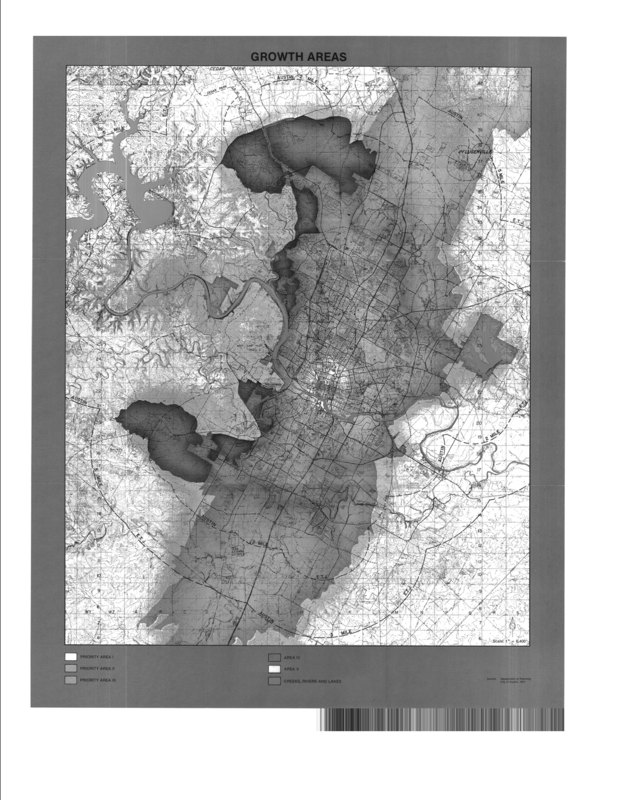 For quite awhile now I’ve been studying Austin’s land-use and transportation strategies, from 1979’s Austin Tomorrow Comprehensive Plan all the way up to today. And I’ve been lost in an absolutely veritable Mobius-strip mode miasma (which has only been made worse by my reporting from the front-lines of the altogether contrived so-called Tea Party “Rebellion” [take it from me: they are comprised of unconstructive and uncivil nitwitted bullies; they comprise a 10% minority yet are certain that 85% of the American public shares their beliefs; Shakespeare: “Certitude is the last disease for old, decrepit kings”; but enough about their noisy nonsense] for The Elgin Courier. Perpetually boggling me has been the tens of millions, nay, the hundreds of millions of dollars invested into the community throughout the years for planning efforts that have essentially been all for naught. And don’t take the path of least resistance. Park’s message should serve as nothing but a shrill wake-up call for Austin. In 1989 both Portland and Denver implemented light rail “right down the middle.” Portland is the exemplar of success because it embraced the land use aspects of Smart Growth almost immediately thereafter. Denver began doing so approximately 15/16 years later (please see its new, wonderfully simplistic Form-Based Zoning Code) and is now verging upon the path towards, if you will, Portland-esque success. But, if Denver had embraced land use before that, it would already be much further along by now. Which leads us to Austin: Over the past two decades it has favored building more roads while outright scorning expanding multi-modality via light rail again and again. Yes, commuter rail was finally accepted. But the Red Line was most definitely implemented according to the path of least resistance. Rather than starting at Phase I, being right down the middle, CapMetro commenced the effort with what should have been considered for Phase V or VI. Because of this it will serve as nothing but a virtual piñata when the City of Austin starts discussing Urban Rail as a bond issue in, at the earliest, 2012 – But maybe even later than that. Due to the Red Line’s by all accounts predictably dismal performance, whenever this issue indeed gets put on the table, there is a very real likelihood that it won’t be passed. With that said, the vociferously deluded Road Lobby is already concerting itself against this year’s relatively innocuous transportation bond election. 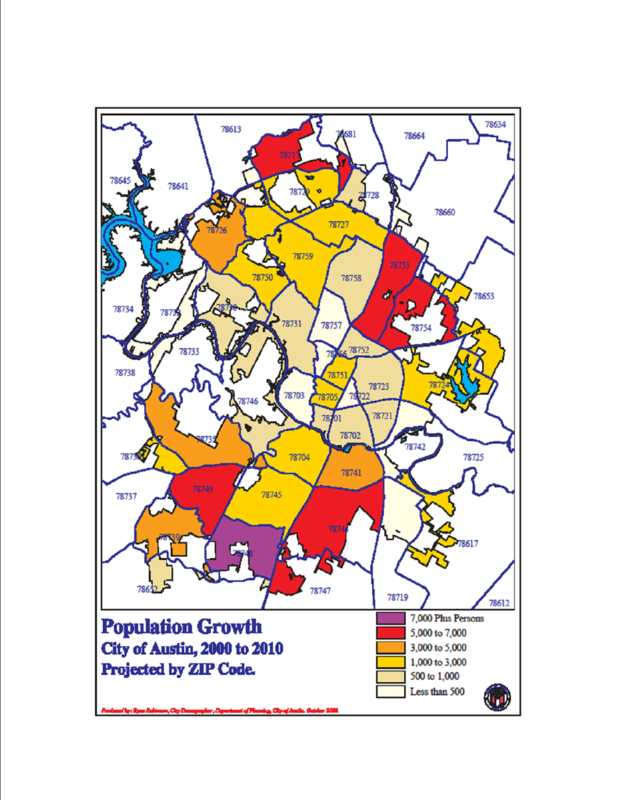 So that’s where Austin stands on the transportation aspect of Smart Growth. And when it comes to the land use end of things? Austin neither knows where it stands nor even where it wants to get yet. Yes, Imagine Austin will most likely be a huge step in that direction (but the result of this comprehensive planning effort is just under two years away). Yes, Park’s representations of Denver were inspirational. Yes, Austin should aspire to Portland’s and Denver’s Smart Growth endeavors. But Austin should not ignore the cold hard reality of its situation relative to Portland and Denver. Again, in 1989 Portland almost simultaneously implemented non-auto transportation options right down the middle and also re-jiggered its land use. Denver implemented non-auto transportation options right down the middle in 1989 but it wasn’t until 2010 that it finalized its new land use strategy. Since Austin has heretofore done neither, it is at the very least 20 years and at the very most (depending upon whatever the hell occurs both nationally and abroad during the next two years) 50 years behind where Denver is right now in 2010. Furthermore, the cost of attaining this level will be much, much more than what Portland and Denver invested during these past 20 years, maybe even by a factor of two or three. 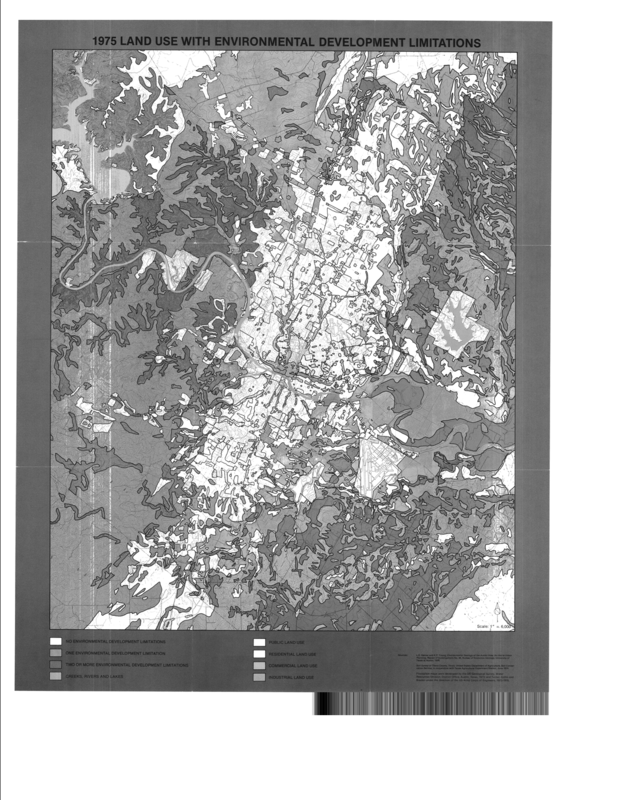 Yes, you may say I maybe am being a bit dismal (but, then again, I am an economist)…But, at the very least, it is inarguable that the City of Austin needs to start working really, really hard in one concerted direction if the Central Texas Region is to indeed truly Progress in every sense of that word. Excellent post. 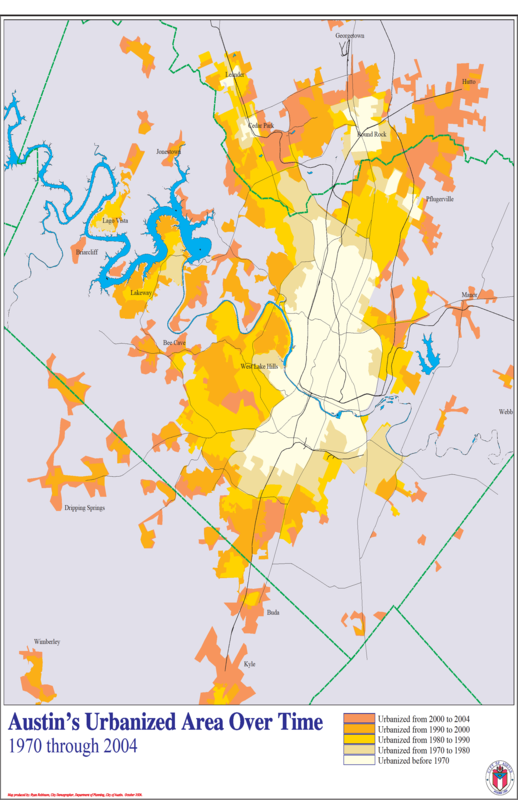 The tragedy of Austin is that its natural assets should make it a paradigm for planning and design. Instead Austin emulates the hallowed traditions of epic failures reflected in urban sprawl development. I agree with Emil (above). Austin is so Austin.